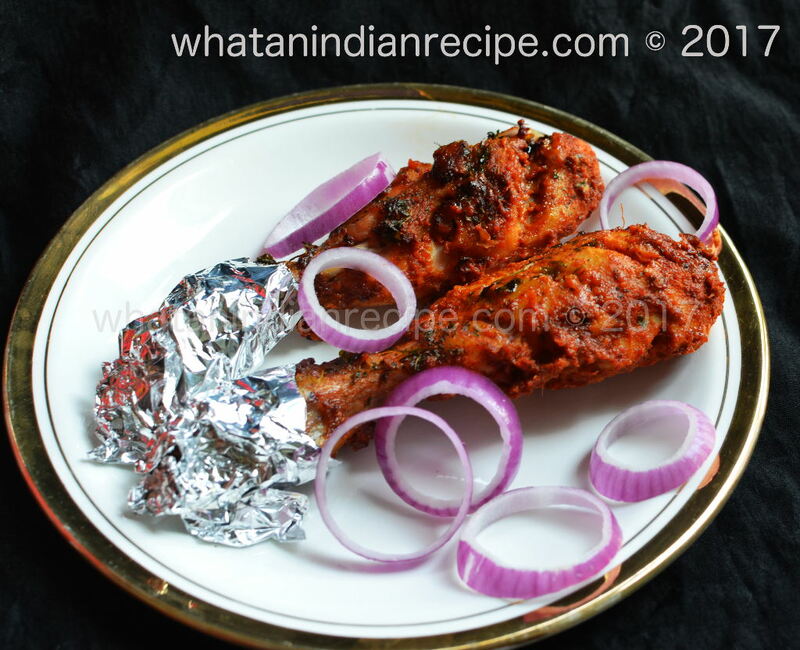 In the absence of a tandoor, which is the case in most modern home, you can prepare this in a convection oven, just make sure to turn the pieces at regular intervals to make sure all sides are cooked properly and get a golden brown colour. And in case you do not have an oven, you can shallow fry the pieces in an oil of your choice. Make cuts on the leg pieces and marinate all the pieces with all the ingredients except oil for at least 2 hours (overnight marination is best). Pre-heat the oven. Sprinkle some oil over the chicken pieces and then bake the chicken pieces till they are golden brown on all sides. Optionally, you can shallow fry the chicken if you do not want to use the oven. Serve it hot with onion rings and a dash of lemon. You can also serve it with hot steamed rice or parathas.